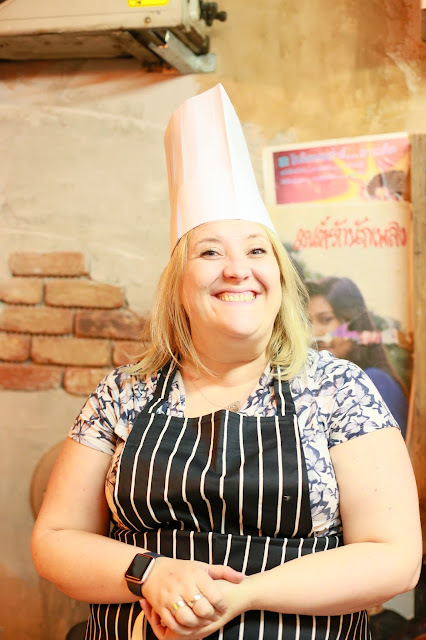 I love cooking, it's well known that on any given Monday I'll be found in my kitchen for the afternoon cooking for all of my friends so when I was invited to the brand new Thaikhun Cooking School at Thaikhun in the Metrocentre, Gateshead I got quite excited and dragged along Harriet who I'll be honest, likes to come and eat at my house so that she doesn't have to cook herself, she's the master of a buffet though!! 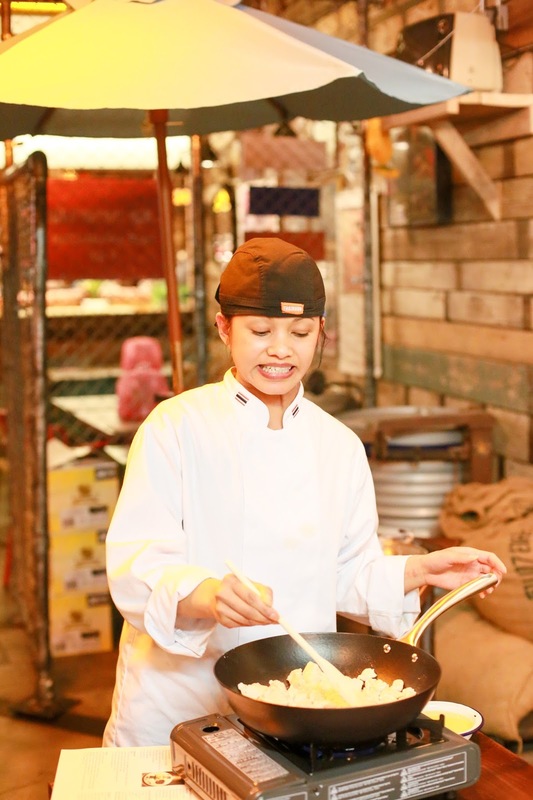 When I cook I love to make the British classics, I love my slow cooker and there's no end of recipe combinations, I also love the chance to cook stir fries and anything with noodles but I'd never actually cooked Thai before so it was quite an exciting proposition. 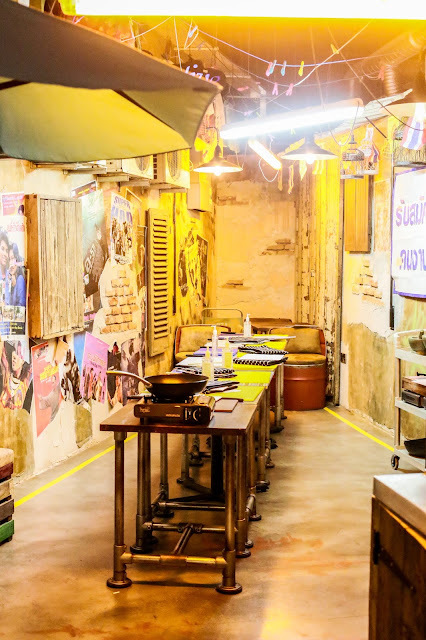 The Thaikhun cooking school costs £50 per person and the best part is that at the end of the experience you get to eat what you've cooked, you also get a goody bag and you can take home the recipe to cook for all of your friends and family, I have mine stored for a special occasion. 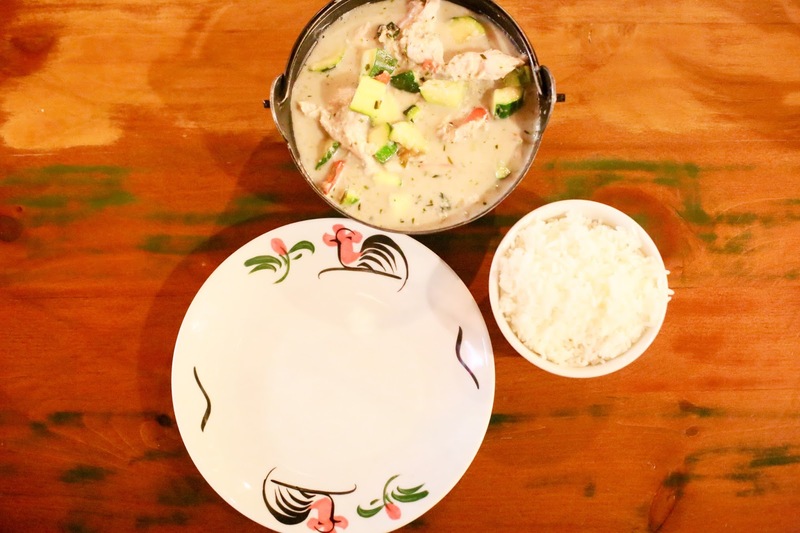 We cooked Thai spring rolls followed by a Thai green curry and it was so good, the tastiest thing I've eaten in ages, our teacher was amazing and made the whole process fun, we were also allowed to adapt the recipes so for example in my case, I'm not a huge fan of really spicy food so where some of the students put all of the chillis into their curries I stopped at just 1 chilli, I know, I'm a lightweight but I'm also a super taster. 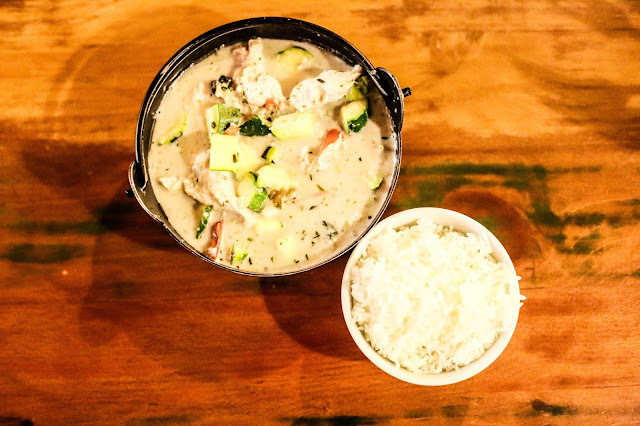 It was the perfect recipe for me though as I adore anything which is a coconut based recipe and if I make a curry at home it's almost always got a tonne of coconut milk in it. 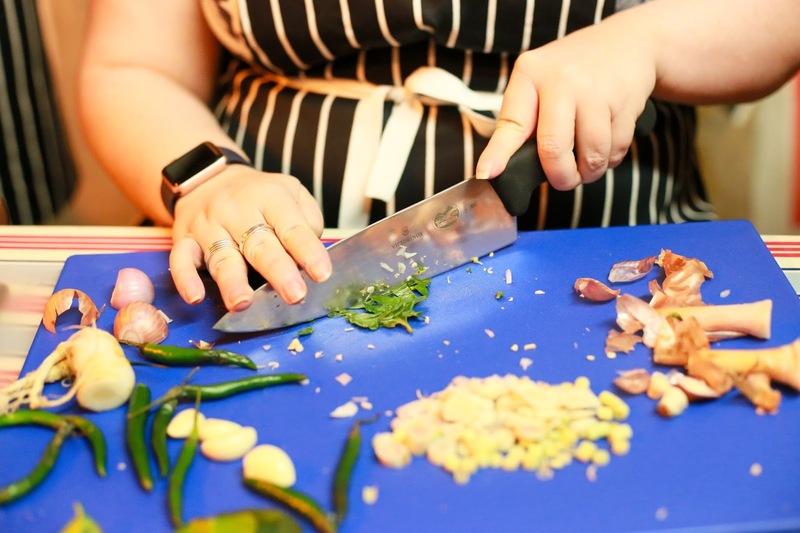 Harriet loved the experience of being a chef for an evening, I'm not sure if it means she's likely to be whipping us up all Thai food on a regular basis but at least it means I can rope her in to help me cook recipes, she's got far better knife skills than I have! I think the Thaikhun cooking school is the perfect friendship date night, I mean, we laugh together, cry together, so why not cook together. 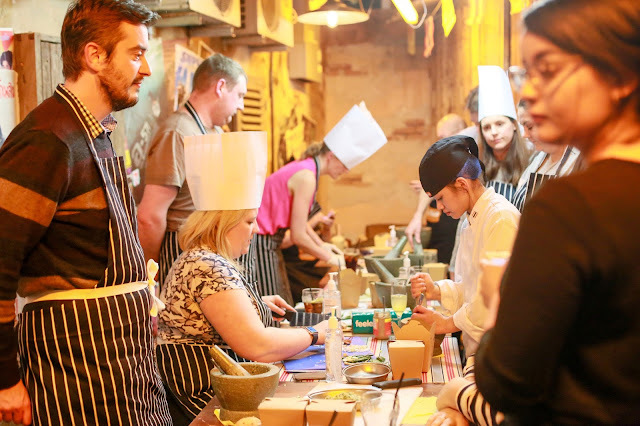 It's also the perfect date night or even something different for a birthday or hen party, I'd certainly love to do it all again with some different recipes. 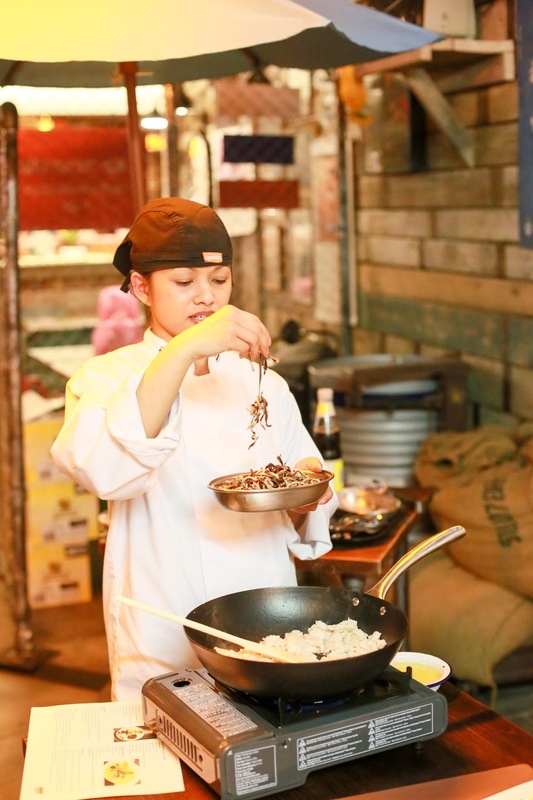 At the end of the day there aren't many restaurants who help you cook the exact same recipes as they're serving to customers, to me that speaks volumes and it doesn't mean I'm any less likely to eat at Thaikhun, in fact for me, I love the fact that they shared so freely but I still love to be cooked for! Thaikhun invited us along in exchange for a blog post and you know what, that's just fine with me, whilst I'm pretty good at blogging, they're definitely the best at Thai cooking!